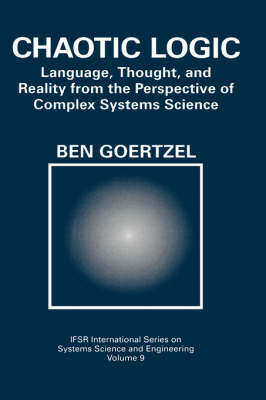 This book summarizes a network of interrelated ideas which I have developed, off and on, over the past eight or ten years. The underlying theme is the psychological interplay of order and chaos. Or, to put it another way, the interplay of deduction and induction. I will try to explain the relationship between logical, orderly, conscious, rule-following reason and fluid, self- organizing, habit-governed, unconscious, chaos-infused intuition. My previous two books, The Structure of Intelligence and The Evolving Mind, briefly touched on this relationship. But these books were primarily concerned with other matters: SI with constructing a formal language for discussing mentality and its mechanization, and EM with exploring the role of evolution in thought. They danced around the edges of the order/chaos problem, without ever fully entering into it. My goal in writing this book was to go directly to the core of mental process, "where angels fear to tread" -- to tackle all the sticky issues which it is considered prudent to avoid: the nature of consciousness, the relation between mind and reality, the justification of belief systems, the connection between creativity and mental illness,.... All of these issues are dealt with here in a straightforward and unified way, using a combination of concepts from my previous work with ideas from chaos theory and complex systems science.